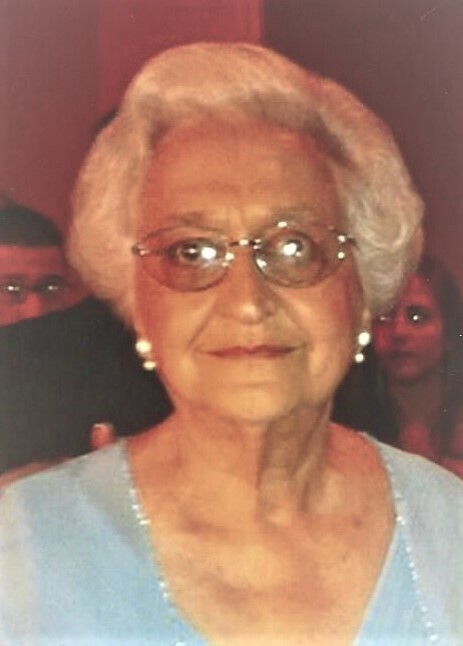 Betty Pitts Reeves, 84 of Gainesville passed away Friday December 22, 2017 at the Northeast Georgia Medical Center. Born in Opelika, Alabama, Mrs. Reeves had lived in Calhoun for most of her life before moving to Gainesville a number of years ago to be close to family. She was the daughter of the late William and Carol Thornton Pitts. She was retired from Shaw Industries where she was the credit manager. Mrs. Reeves was a member of Lakewood Baptist Church, where she also was a member of the Dedicated Homemakers Sunday School Class and the Golden Nuggets. Survivors include her son and daughter-in-law, William Mark and Rene Sutherland, Gainesville; daughter and son-in-law, Greta Sutherland Martin and Wesley Martin, Gainesville; grandchildren, William Todd and Amy Sutherland, Gainesville; Katie and Thomas Winfrey, Gainesville; Rev. Whit and Ashley Martin, Smyrna; Callie and Brian Hughs, Gainesville; Jake Martin and fiancé, Lindsay Drevlow, Gainesville; great grandchildren, Ellie and William Sutherland, Charlie Winfrey, Laney and Maggie Martin, Trap and Boone Hughs; special nieces and a nephew, Kris Sorrells, Kyle Smith, Carol Cochran and Tabb Thornbrough. Mrs. Reeves is preceded in death by her parents, granddaughter, Jennifer Sutherland and a twin sister, Billie Joyce Thornbrough. Funeral services will be held at 11:00 a.m. Saturday December 23, 2017 in the chapel of Little & Davenport Funeral Home. Rev. Don Ormsbee and Rev. Whit Martin will officiate. Interment will be at 3:00 p.m. at the Gordon Memorial Gardens in Calhoun, Ga. The family will receive friends at the funeral home from 10:00 a.m. until the funeral hour Saturday. In lieu of flowers the family has asked that memorial contributions be made to Enota Elementary School Library Fund, % Gainesville City School System, 508 Oak Street, Gainesville, Ga. 30501 in memory of Mrs. Reeves.